The most critical aspect of your online presence is web-security. If your site is not secure enough then there might be chances that hackers can use your portal for online frauds, identity thefts, or even worse, a complete admin takeover which can’t be traced. A secure site requires action from both your host and from your end in multiple areas of your web-security ecosystem. 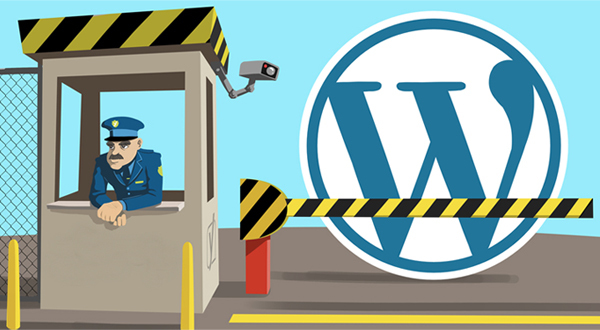 To have a secure site, you can convert Website to WordPress which is one of the safest CMS systems in the web world. Another thing you can do is understanding your security services offered by WordPress i.e. you can enquire about the available services for WP hosting and security. Another thing you can do to make your portal more secure is to convert PSD to WordPress which will make a bit difficult for hackers to change your web design. If multiple user accounts are running on your web server, then you should make sure that you are isolated with suPHP which is a tool for executing PHP Scripts with the permission of their owners. It consists of an Apache module and a setuid root binary that is used to change the UID of the process executing PHP interpreter. SuPHP also eliminates the need for an FTP layer in your CMS. It is a highly advanced protection system for the PHP installations. Suhosin is capable of stopping both known and unknown exploit attempts, limits the number of vars in request methods, prevents resource exhaustion DoS attacks, and also halts the resource abuse by other accounts existing on the same server. This is considered as the first line of defence against the common attacks like SQL injection attempts on vulnerable scripts. Moreover, it will also block known and unknown exploit attempts in all forms of HTTP request methods and define custom rules to restrict urgent threats that will match with the specific patterns the in the request. It can be paired with the suPHP to enhance the protection cover of the users. In case you don’t want to pair it with suPHP then this application should be paired with an appropriately configured disable_functions directive. The function of this tool is to stop PHP processes from opening files outside of specified base directory, even if they are set to 777 but does not directly stop the PHP process. When it comes to finding a WordPress hosting company, it will be good that you look out for a fully-compatible, performance-tuned, and a secured host who completely focuses on quality website hosting for WordPress. If you can get these respective things from your WordPress host, your site will benefit in the long run and will be safe from all type of hack attempts and lags. The above-written article consists of few tools and techniques which you can use to make your WordPress powered portal safe & secure. It will be good that you look out for a secure web host that offers reliable and quality services as per your requirement. Next PostWhy use WordPress for Business Websites?